Students: Enter Referral Code STUD10 at checkout for 10% discount! 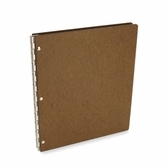 Build your own customized screwpost portfolio book with this ingenious modular presentation system. Begin by clicking on a cover style from the categories below, then select a cover set in the size and orientation you need. 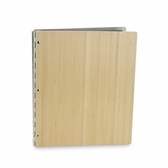 From the ordering page for your cover set, you can easily customize your book by adding the various types of insert pages, outer sleeve or jacket, and optional screwpost extensions that work with your covers. 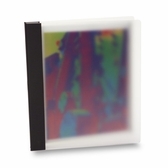 The resulting customized portfolio book will be shipped to you within 24 hours. 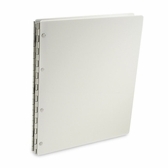 These Screwpost Portfolio Books will hold up to 15 pages with the included screwpost hardware and up to 40 pages with the Screwpost Extension Pack (sold separately). Our screwpost portfolios are available in a variety of materials and finishes. 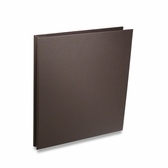 Chose the cover style that best fits the look and feel of the work in your portfolio. 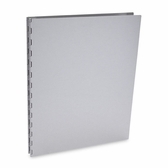 Machina Aluminum Screwpost Portfolios have a sleek, modern look. They are suitable for a variety of artistic styles and business presentations. 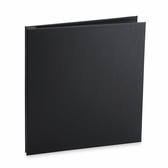 Vista Onyx Screwpost Portfolios are made from acrylic with a matte black finish. These also have a modern look. 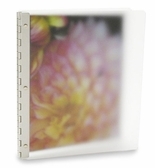 Vista Mist Screwpost Portfolios give an intriguing partial view of the first sheet of artwork inserted in the book. Many customer choose Vista Mist for the curiosity it creates. 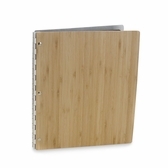 Bamboo Screwpost Portfolios are finished with a natural, renewable wood that complements presentations related to environmentalism, conservation, or natural products. Tera Hardboard Screwpost Portfolios have a simple, �retro� look that many designers and marketers are looking for. 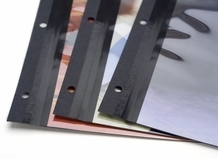 All of our Screwpost Portfolios can be customized with Color Imprinting and Laser Etching.